John Horton Slaughter established a reputation as a man who was "good with a gun" during the years he served as a Texas Ranger. 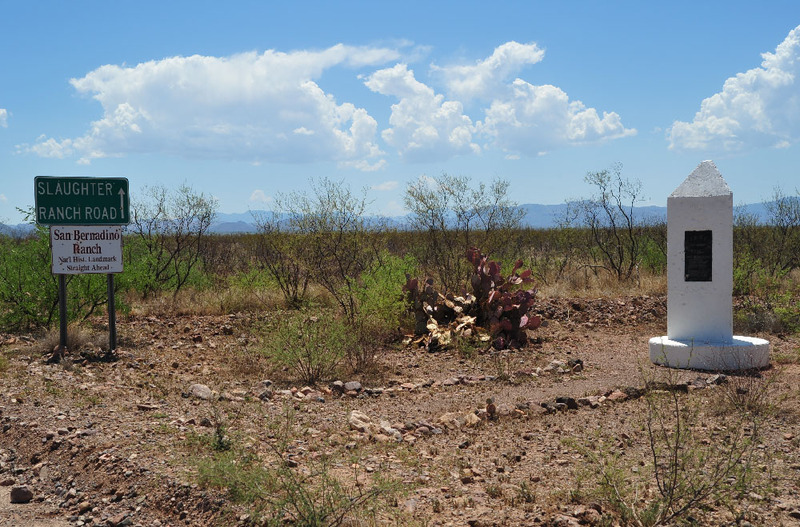 Forty years old when he arrived in Arizona Territory, the dimunitive (5' 6" tall) Slaughter chose the southeast corner of AT to be his new home. He purchased most of an old land grant comprising the San Bernardino Ranch in 1884 then subsequently bought (or homesteaded) additional acreage to establish a hundred thousand acre cattle empire that sprawled across Southeast Arizona Territory and south into Mexico. 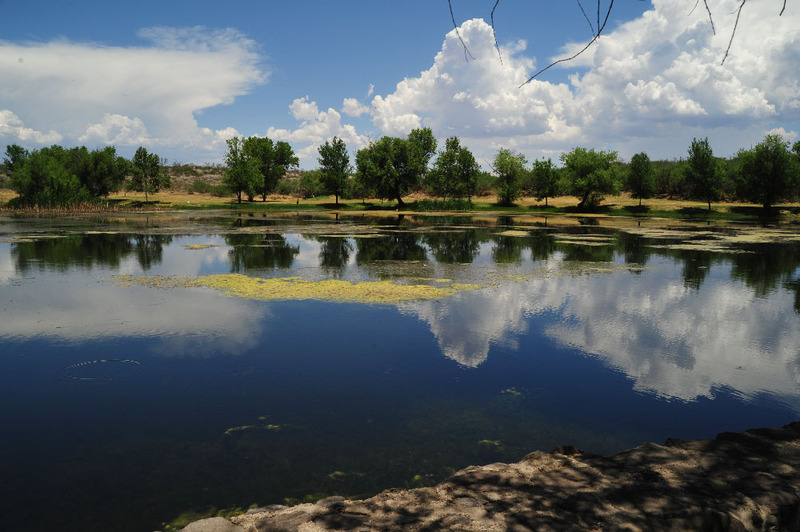 Slaughter's San Bernardino Ranch is now divided between Nature Conservancy holdings (the San Bernardino National Wildlife Refuge) and a museum owned by the Floyd Johnson Foundation. 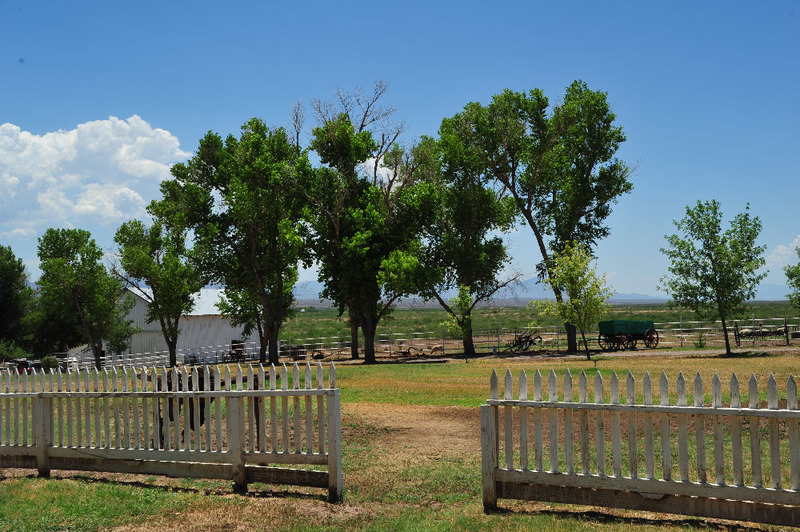 The museum encompasses several original ranch buildings, ponds and ruins of an army camp built just east of the ranch structures in 1911. 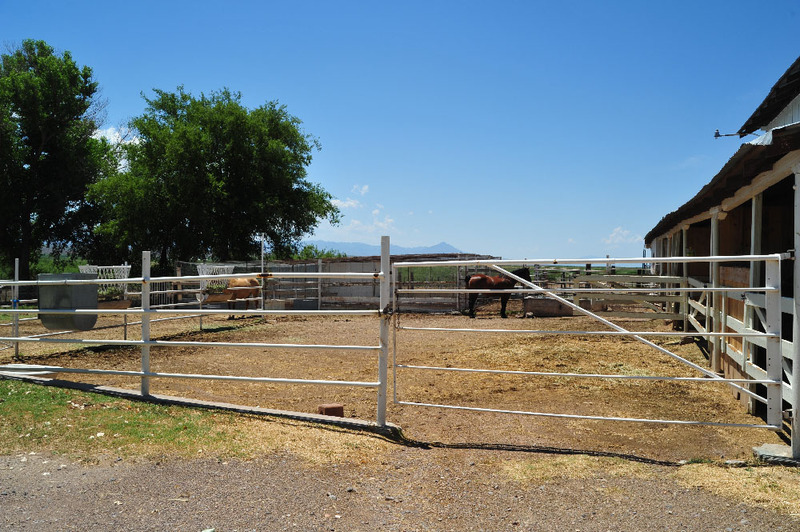 Located 15 miles east of Douglas (Click map to your left for a printable enlargement), you're less than an hour from Bisbee when you park beside the Slaughter Ranch corral. The last 14 miles from Douglas to the ranch is on a well-maintained dirt road (Geronimo Trail) but be aware that rainy weather can create some slippery conditions. Slaughter's San Bernardino Ranch is a Registered National Historic Landmark. It's maintained entirely with private funds, no public money is involved. Visitor fee is $8 per person (under 14 years old free). 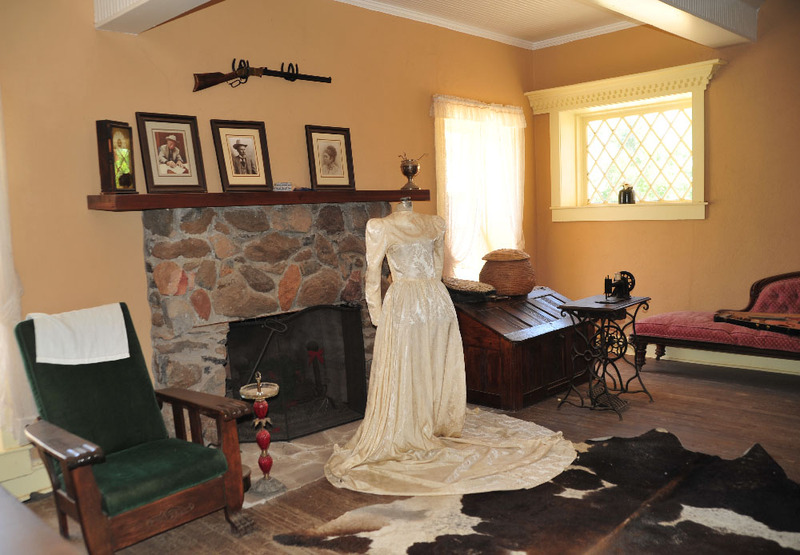 San Bernardino Ranch (Slaughter Ranch) is open to visitors Wednesday through Sunday from 9:30 AM until 3:30 PM. 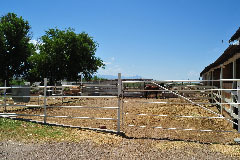 Call 520-678-7935 for more info--or to verify the hours before making the drive out to the ranch. Our map is courtesy of Cochise County Tourism Council, full version is linked under the maps list at your upper right. 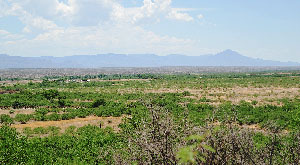 Ignacio Perez purchased the original grant for the San Bernardino Ranch in 1822. Perez's stay on the land lasted about ten years before Apaches forced him to flee to safer environs. 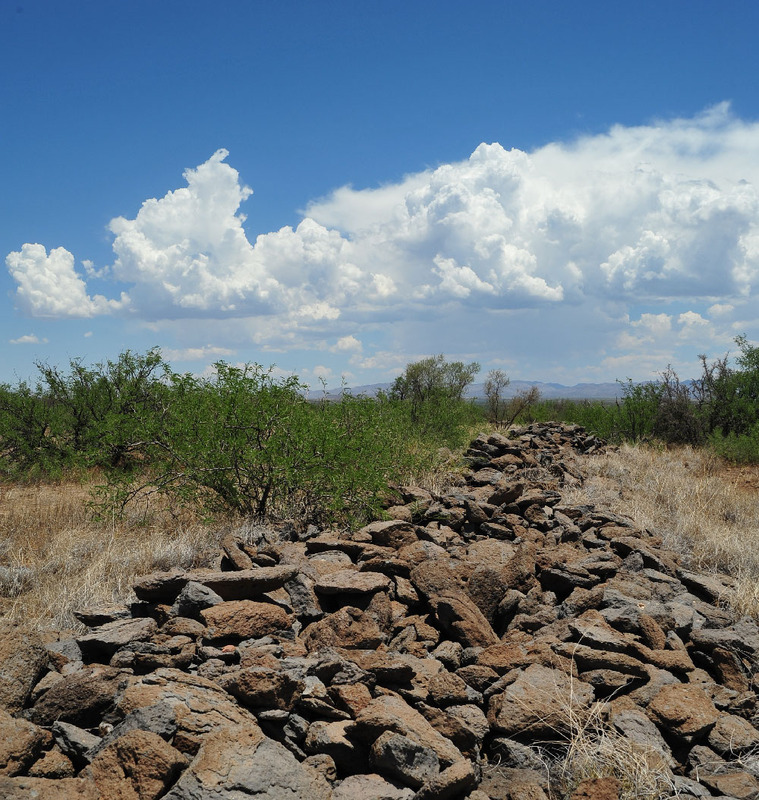 Much of the Perez grant became US land following the Gadsden Purchase in 1854 but another three decades would pass before frequent depredations by marauding Apache bands were finally quelled and the land was safe to live on for settlers. John Slaughter was in the right place at the right time. 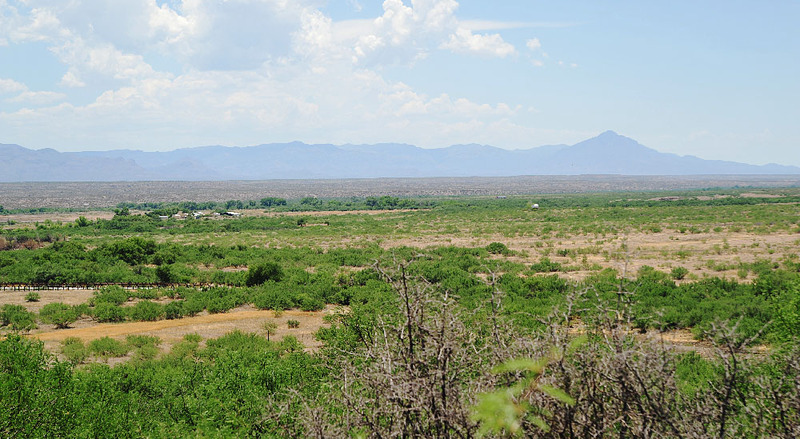 He bought 65,000 acres of the grant from the Perez estate in 1884 and immediately began consolidating his holdings with further purchases and homesteading acreage. 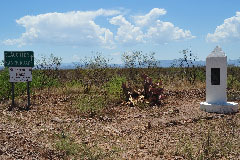 Slaughter's cattle operation was successful from the beginning and he established himself as a power in the sparsely populated southeast corner of Arizona Territory. John Slaughter passed away in 1922; his family sold the Mexican portion of the ranch to a Mexican citizen and the part of the holdings on the US side of the border to Marion Williams, a family friend, in 1937. 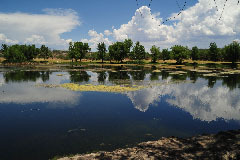 In 1968 Paul and Helen Ramsower purchased the property from the Williams estate and in 1978, the Nature Conservancy acquired the ranch. 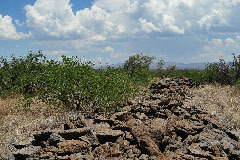 Later the conservancy deeded part of the acreage including ranch buildings, pond and old army ruins to the Johnson Foundation. 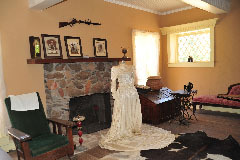 Visitors are welcome to tour the ranch house, car shed, granary, commissary/cook's house, wash house, ice house, and the remains of the army camp. Though John Slaughter died almost a century ago, his name has lived on in both Arizona and national history. 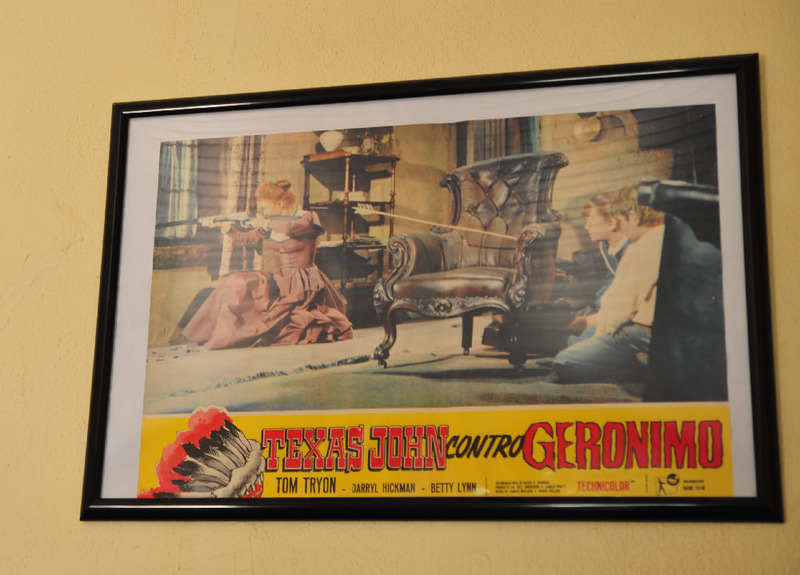 In the 1960/61, the Disney Corporation created a television series based on Slaughter's exploits (Tom Tryon played the part of Texas John, minus Slaughter's bushy beard, of course), and a variety of articles, books and even academic publications have been based on Slaughter's life. John Slaughter's San Bernardino Ranch is owned by the Floyd Johnson Foundation, which was established for the purpose of "acquiring, restoring and preserving rural ranches, stage stations and homesteads so that the youth of tomorrow may know what it was like yesterday." The ranch house and other buildings have been painstakingly restored to reflect design and construction of the original structures. 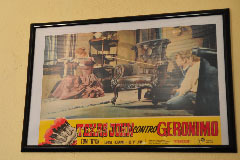 Contents include Slaughter family photographs, period furniture and clothing, information on the history of John Slaughter, his family, the ranch and, of course, material concerning the early days of Arizona Territory and Cochise County.